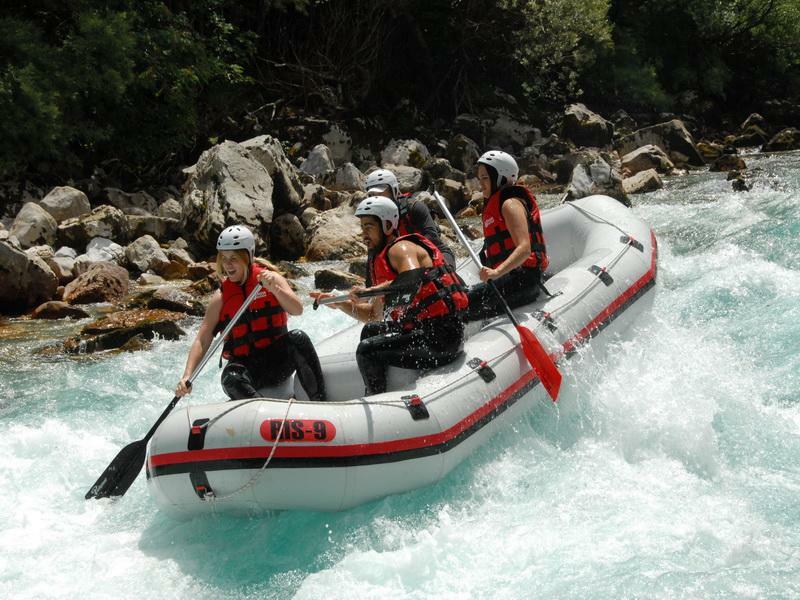 If you are ready for a real adventure – white water rafting on river Tara – Rafting Camp Modra Rijeka is the best choice for you. Our first priority is your safety and good fun! Rafting camp Modra Rijeka skippers have passed the international trainings and possess all necessary licenses. They fluently speak English and Russian, and they are always ready to explain all the details regarding the adventure of white water Montenegro rafting on Tara river. Our equipment is licensed, highest quality and includes: boats with capacity of 8 – 10 persons, high quality neoprene suits and boots, protective helmets (suitable for GO PRO cameras) and safety vests, protective jackets for the rain, waterproof safety bags for storing mobile phones and devices during the rapids on the river, so that your unforgettable moments of white water rafting on the Tara River can be recorded!